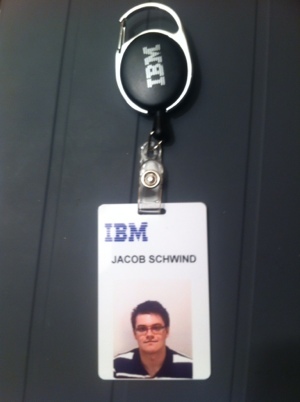 The first week at IBM has been incredible. Everyone I have worked with has been incredible and the building itself is really cool. I have coffee and energy drinks just around the corner from my cube and if things are stressful, the lounges at the building’s corners are pretty cool. I cannot disclose information about the project I am working on, but what I can say is that all of us interns are working on projects that fill a true need for IBM and will be used extensively. It is nice to know our work will go to use and it is a motivating factor. We have daily SCRUMs and my teammate and I are given enough freedom to make important project decisions…almost too much freedom at times. I plan on keeping this live journal throughout the IBM internship process to provide those thinking about joining some insight. So far, I highly suggest working for IBM!